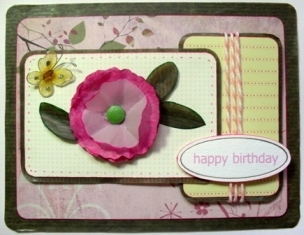 Anne-Marie shares two pretty cards she made that would be just perfect for beginners like you! She has a very important tip you wouldn't want to miss too! :) Take it away, Anne-Marie! I cut three star shapes (the middle one is from the inside of a cereal box 'cos I liked the colour..lol) ...inked the edges, added a button with baker's twine.... all up on pop dots... The circle sentiment is from Craftwork Cards... stuck it on a blue circle and pricked holes around the edge.... all the DPs are from Nitwits:In the Meadow.... I got the original pack as a freebie, and liked it so much I actually bought some.... yeah, me!...buyin' somethin'....Ha! I added more baker's twine to one of the layers... just for texture and interest... and left it at that! Hope you enjoy having a go at these easy-peasy cards! 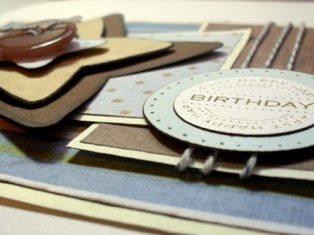 I love the idea of pricking holes around the edges of a punched shape! I will definitely give that a try. Hi, honey. 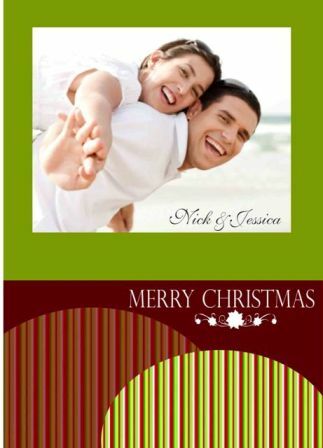 Thanks for sharing your card with us! I love your tip about using a single layout for different cards too. And you made making male cards so easy! Clap, clap! 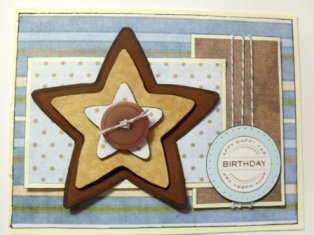 Great tip on using a layout to make different cards!!! Thanks for sharing this! I'm gonna try making one right now.